Two new polls in Poland yesterday (22 October) showed diverging trends in the popularity of the frontrunning, nationalist-minded opposition before the Sunday (25 October) parliamentary election, heightening uncertainty about the shape of the next government and Warsaw’s ties with EU neighbours. Both surveys pointed to the eurosceptic, conservative Law and Justice Party (PiS) winning the ballot with more than 30% of votes, although neither gave it the outright majority necessary to form a government alone. The likely election of the economically left-leaning party worries financial markets because it would mark an end to nearly a decade of political and economic stability in the European Union’s largest eastern member state. A PiS victory would probably put pressure on Poland’s relations with its wealthier western EU neighbours, making it more difficult for Warsaw to win EU backing for disputed energy policy plans, among others. One survey, conducted by pollster IBRiS, showed the PiS close to securing majority, with 37% of the vote, trailed by the ruling centrist Civic Platform (PO) on 23%. Such an outcome would make it relatively easy for the conservatives to seek out a small coalition partner and form a government quickly after the vote. But another survey, by pollster TNS, showed the PiS backed by 33% of voters, with a more narrow lead over PO on 26%. A narrow PiS victory could make it more difficult for the group, led by the twin brother of late president Lech Kaczy?ski, Jaros?aw, to find suitable coalition partners from a host of small groups also vying to win legislative seats. It may even allow Civic Platform to form a coalition of like-minded parties and retain power in the ex-communist nation of 38 million with the largest economy in the eastern EU. The popularity of PiS is driven largely by frustration over the PO’s lack of ability to share out the spoils of Poland’s economic success. Poland has not experienced recession since 1991 and its economy has grown by nearly a half in the last decade. But pockets of economic stagnation remain. Economic disappointment is compounded by worries over austerity abroad and immigration, which are fanning a rise of nationalism and anti-establishment sentiment among young voters. To form a bloc, PiS might tap Kukiz’15, a populist electoral reform movement led by former rock star Pawe? Kukiz, currently polling over 10% according to TNS, safely above the five-percent threshold a single party needs to clear to win seats. KORWiN, a eurosceptic, libertarian party, currently on 5% in the TNS poll, could also become a PiS ally. Both Kukiz’15 and KORWiN, however, would likely prove cumbersome coalition partners due to their anti-establishment stance. But if neither party wins seats or the PiS fails to build a coalition with another group, Civic Platform may be able to forge a government together with leftist or pro-market groupings, also seeking election. The options include the leftist United Left (ZL), which according to TNS is polling nearly 8%, the minimum threshold it needs to clear as an alliance of various parties. Civic Platform also seek to renew its alliance with the agrarian PSL, which TNS put on 5%, although the group has not made it clear it would not renege and forge ties with PiS. United Left leader Barbara Nowacka said that an anti-PiS coalition may be needed to defend Poland’s pro-European course and stop Kaczynski from implementing his policies, which she likened to those of Hungarian Prime Minister Victor Orbán. Orbán has long been praised by PiS leaders for his decisive leadership and economic policies, and some of the solutions proposed by the PiS resemble those implemented by Orbán’s party. 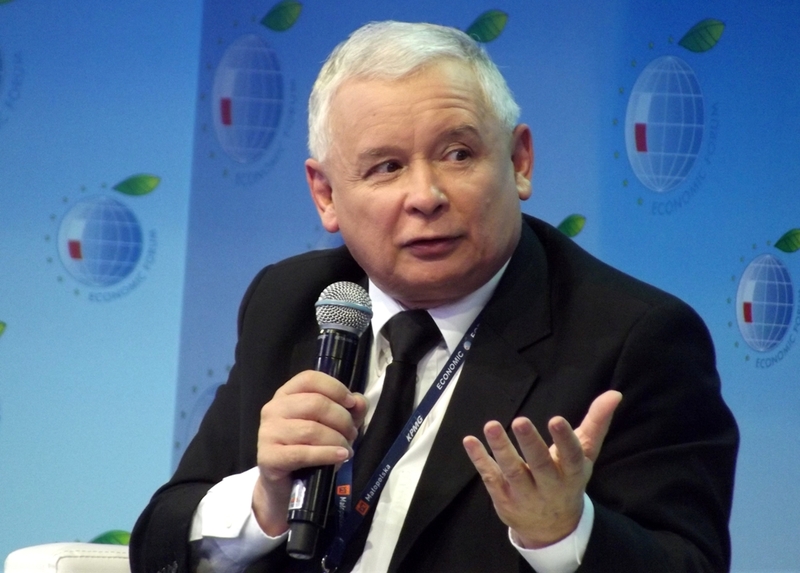 But some politicians have warned that using parliamentary arithmetic to defy the likely outcome of the election could easily prove counterproductive, as voters, feeling PiS had been cheated out of power, would flock to the conservative party.